Rainbow Six Siege’s Starter Edition is no more. Ubisoft is making some big changes to how you buy into the competitive shooter, and that starts with the removal of that limited version. The base game is dropping in price to $19.99, and all Starter Edition owners will automatically be upgraded to the regular game. 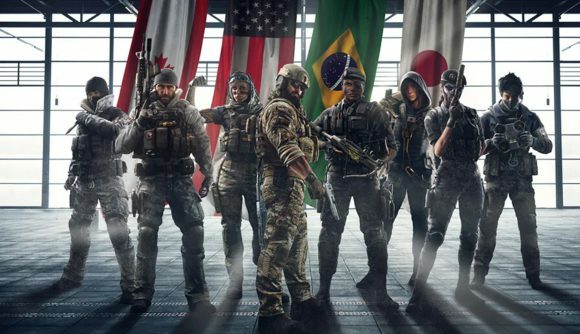 That means you no longer have to grind out those extra hundreds of hours to unlock operators if you bought the Starter Edition – now all versions of the game will be able to unlock ops at the same rate. Your additional options for purchase will now include the Deluxe Edition, which features all Year 1 operators, the Gold Edition, which includes all Year 1 and 4 operators, and the Ultimate Edition, which includes every operator up through the end of Year 4. A scaling DLC price system will be implemented this year, which will make older operators less expensive and easier to unlock. More details on how that works will come alongside the Year 4 reveal at the Six Invitational. Additionally, for newer players, the progression system to unlock the 20 legacy operators is returning – they’ll cost between 500 and 2000 renown based on how many you already have unlocked. If you haven’t bought into Siege yet, Ubisoft says all versions of the game “all versions of the game will have an introductory discount for up to 70% for a limited time.” You can get more details on all these changes at the official site. We’ll see more of that Year 4 roadmap this weekend – but in the meantime, a teaser for the Outback map gives us a taste of what to expect from the next season. Plenty more details on the season an the year as a whole are set to hit us very soon.